Some time ago I remembered that, via Bluetooth, we link our Mac wireless keyboard to use with our iOS device to take notes, take notes or write with a word processor. 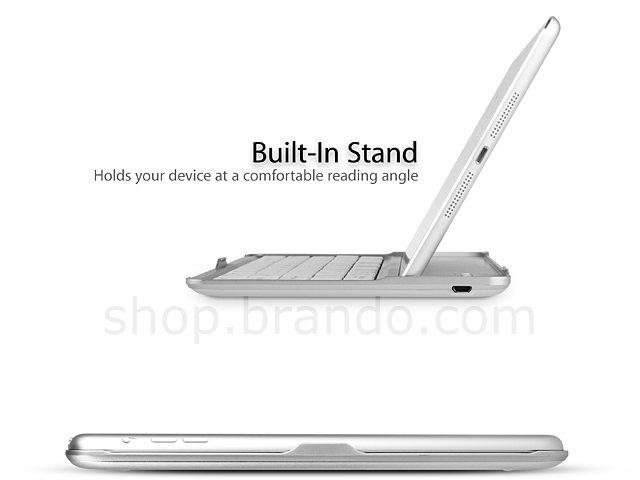 If you do not have keyboard and want to carry out these functions at a reasonable price, the Chinese brand Brando brings you the solution if you have an iPad mini. Available in two colors (black and white) this accessory does double duty, as well as keyboard is, in turn, a cover will protect your iPad when you do not use it. With a metallic finish, the enclosure features a USB connector that enables you to charge the battery of the keyboard (though you have this solution if you want a keyboard that is loaded with light energy (for iPad)), and also make use of the magnetic system Smart Covers the on / put to sleep the iPad when not in use. The case is priced at $ 33.00 (about € 25.00), postage included, and is perfect if you want to meet these needs at a low price. 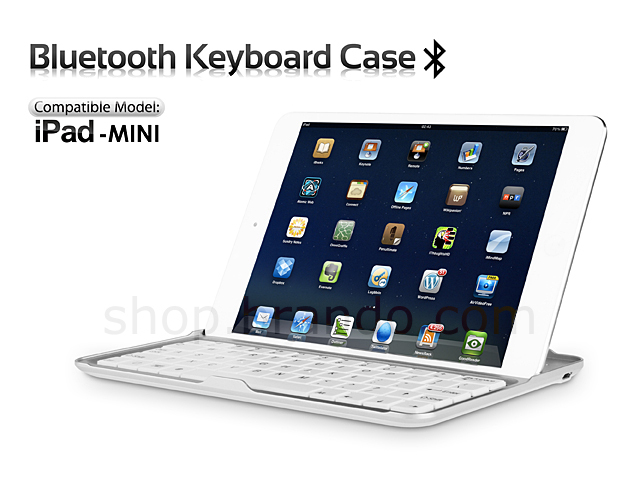 Did you know that you can link the Apple Wireless Keyboard to the iPad via Bluetooth?